Most of us take mathematical modeling for granted. After all, we’re taught physics and calculus almost hand-in-hand. But we owe a lot to the early pioneers like Isaac Newton, who demonstrated and strongly promoted interpreting natural phenomena through equations. Differential equations are especially useful since most things change as time marches on. Since we live in 3D space, partial differential equations (i.e., equations that express change in more than one “direction”) arise as the prominent tool to express continuum level physics for engineering purposes. But not everyone likes equations. In fact, many become engineers in spite of equations. Common complaints are that equations are too abstract, too complicated, and just too dull. They have little to do with actually putting things together and making them work, which is a big part of engineering. On the other hand, some engineers are theoretical experts who are more comfortable with equations than with the actual thing they’re making or fixing. And in any engineering organization, you’ll likely both sorts of professionals at least to some degree. With COMSOL, we’re sympathetic to both points of view, and we believe we can satisfy both. You might be more comfortable describing things in terms of the physics: loads, constraints, fields, conductivity, currents, etc. For you, we use specialized terminology specific to the sort of your application. This goes for everything from the material properties to the boundary conditions and other model inputs. Context menu for solid mechanics boundary conditions. 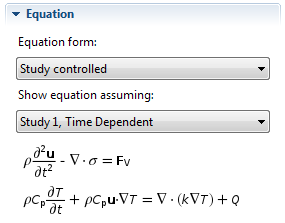 Or you might be like me, “just show me the equation and I’ll figure it out…” We have a section in the settings window (hidden so as not to scare anyone) just for you. It opens the “black box” of simulation and reveals exactly the system of equations that is being solved. Governing equations for thermal stress. So how about you? What category would you place yourself in? 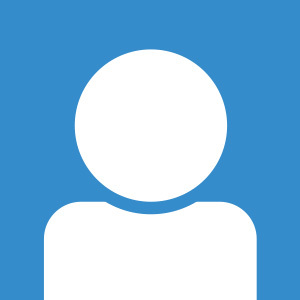 We welcome your comments and discussion in the comment field below. In either case, it is our aim to make multiphysics modeling accessible to all serious engineers from researchers to designers and manufacturing. We still have some work to do, and we’ll continue to find new ways toward this goal. Your feedback is indeed important. Note from the editor: A follow-up to this blog post titled Multiphysics versus FEA was published on 2/14/2013. How can you Validate and Verify (V&V) a model without being able to unambigously get back to the equations ? Certainly for many rapid models, the “equation free” approach is easy and handy, but when you come to the V&V part, you need to get back to the equatins, also when you couple many physics. The nice and unique approach of COMSOL is that they have manged to “unify” all physics, that traditionally have evolved in different direction over the years, with slightly different convention too. Now we have a common way, and, for example, by looking closer to all the Frames used in “Solid” one will see the commonalities with CFD, two historically different appraoches to describe a rather common physical phenomena, the deformation of a body (solid or fluid) under external loads. It will be interesting to see how COMSOL can provide us advanced mechanical and thermodynamical theory of deformation, including placticity. Most of the tensor theory required is already implemented today in COMSOL, the dedoubling of the tensors for elastic and plastic components is still to be done, then we will see another chapter of the unification of physics arriving. But again, to beable to follow a minimum of V&V here too, the “equations” are needed. Without knowing the equations there is no way one can really know what is going on. I personally do not think it should even be a matter of discussion if equations are important or not – how can you model and simulate a physical system without knowing the “rules” governing it? Apart from that I would like to stress the fact that I really like COMSOL and the philosophy behind it. I like to use the analogy of the hood of your car. When was the last time you opened it? For most people, they might not even know where the release is. Autos are built so well these days, the majority of people experience cars just by driving/riding in them. BUT there is a community of people that can open the hood and make a big (positive) impact. That’s what using equation view in COMSOL is like. It’s not for everyone, but it is a big advantage for trained professionals. Doctor_J: There is a fundamental difference between COMSOL and the products you mentioned when it comes to discretization. This is in fact patented and therefore public knowledge. The difference is that COMSOL discretizes AFTER the complete mathematical model is built. The other products build the discretization into each category of physics (which is why there is an emphasis on “elements”.) For COMSOL, this makes it much more flexible. The reason I bring this up is that the place to look for details about our discretization is not in the individual module manuals, but in the COMSOL Reference Guide. There you can find a complete discussion of how COMSOL formulates the discretized system given the mathematical model, and then applies the solvers. See pages 276 to 674 for some fun! Regarding the “details issue” we were discussing, I am still convinced that COMSOL manual is not up to par with other softwares’s manual. Many details of the solver, for example, are missing, i.e. 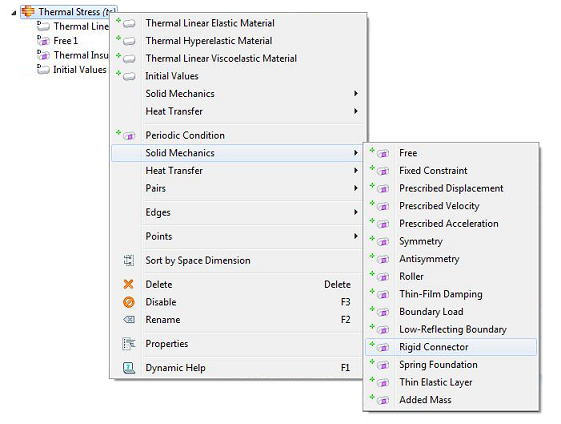 detailed info regarding the adaptive remeshing, detailed info regarding how the time step is calculated by the adaptive time stepper etc… It might be that I have been unable to find them in the manual, but then is a common issue to many users, just skim through COMSOL forum and you’ll see many users with the same issue. Also, COMSOL’s manual lacks of info regarding the variables used in the discretization: many variables are not defined in the manual which makes it very hard to “decode” the weak forms presented in equation view. The “Equation” section is very essential. The word descriptions are sometimes not exact enough, especially for people with lack of English 🙂 Considering me, I usually use PDE interfaces, which would be very difficult to operate without seeing an exact form of equation. Sometimes there is just no appropriate interface module. The thing I’m really missing is the ability to switch between the forms of view (general, coefficient, weak…). I thought the node “Equation View” should do the thing, showing the weak form that is produced by its parent node and assembling all weak contributions at the top, but it is empty for most of the time! The interface is ready, it is brilliant, it can, but it doesn’t. I hope this will be improved in future versions. It is very good to see the final problem that is actually solved. Not the description, but the exact expression. It makes feeling more comfortable. The fact that it can become unreadable for big models is an issue of another type.